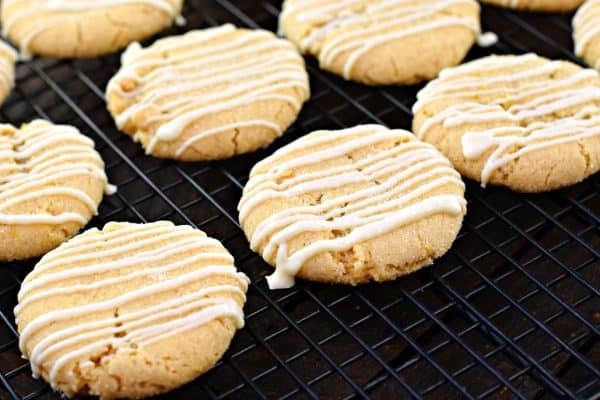 Imagine if a snickerdoodle cookie combined with a lemon. That’s what these soft and chewy Lemon Crinkle Cookies taste like! The perfect flavor combination! I was just looking at my cookie archive and noticed I only share ONE new cookie recipe in 2017. These Halloween Peanut Butter Cookie Cups were the only recipe I shared last year! I figured that had to change this year, so look at me now. This is my second cookie recipe of the year, you may remember these Gingerdoodle cookies I shared last month? Soft and chewy molasses cookies rolled in cinnamon sugar. The perfect combination of a snickerdoodle and ginger snap! Well, I took that basic cookie recipe and lemon-ized it. <——I also created a new verb! But seriously, let’s talk about these lemon crinkle cookies! Using the dough recipe for Gingerdoodles, I wanted to keep that same soft and chewy texture (without the molasses flavor, obviously). I swapped out the molasses for light corn syrup, and added in some lemon zest! Lots of lemon zest. I also took out the cinnamon and just rolled these cookies and granulated sugar. For an added treat, drizzle a little melted white chocolate over the top! 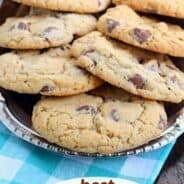 While we’re talking about cookies, how about I share some of my favorite cookie recipes? Let’s start with these Twix Cookies. 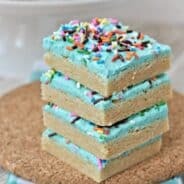 I mean, if you love the candy bar, these cookies are the next best thing! I usually only make them during the holidays though, as they’re hard to resist! 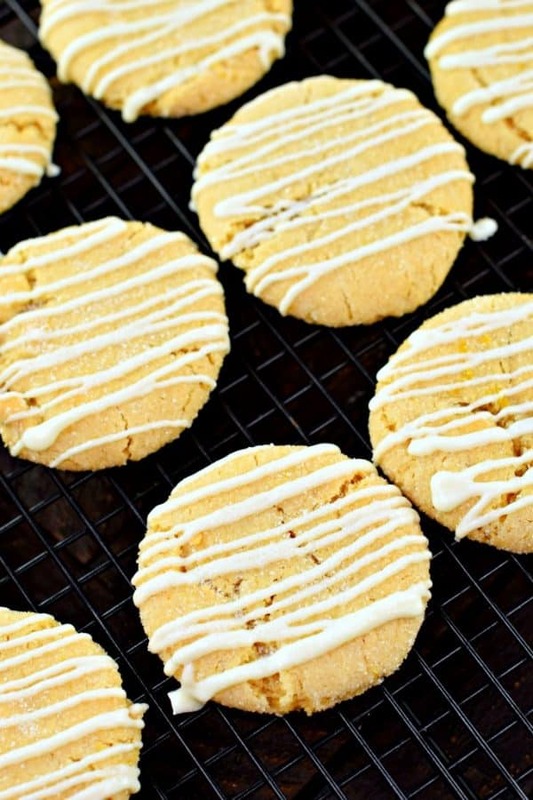 My next favorite cookie would be these White Chocolate and Cranberry Cookies. 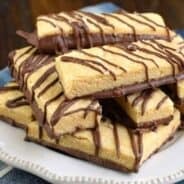 Chewy and soft, I love the flavor combination in this recipe! Remember those Iced Oatmeal Cookies you could buy in the store? Well my recipe is even better, haha! But seriously, they’re pretty darn amazing. I certainly can’t make a list of favorite cookies without including Chelsea’s Snickerdoodle cookies. They really are one of the best I’ve tried! Also, these Peanut Butter Chocolate Crinkle Cookies from Ashley are quite delicious too. Who doesn’t love a peanut butter cookie, with chocolate, dunked in sugar??? 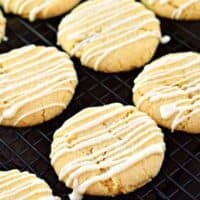 Imagine if a snickerdoodle cookie combined with a lemon. That's what these soft and chewy Lemon Crinkle Cookies taste like! The perfect flavor combination! Pre-heat oven to 375°F. Line baking sheet with parchment paper and set aside. Combine butter and brown sugar in a large mixing bowl. Beat together until fluffy. Add in the egg and beat until smooth. Add in the corn syrup and beat until well combined. Add the flour, baking soda, and salt and mix until combined. Stir in the lemon zest. Using a medium cookie scoop (or about 2 Tablespoons), roll the cookie dough into a ball. Place the granulated sugar into a bowl. Roll the dough into the sugar. Place on the baking sheet, about 2 inches apart. Bake for 7 to 8 minutes until the edges are firm. Allow to cool on the pan for 2 minutes and then transfer to a cooling rack. Cool completely. Melt white chocolate according to package directions. 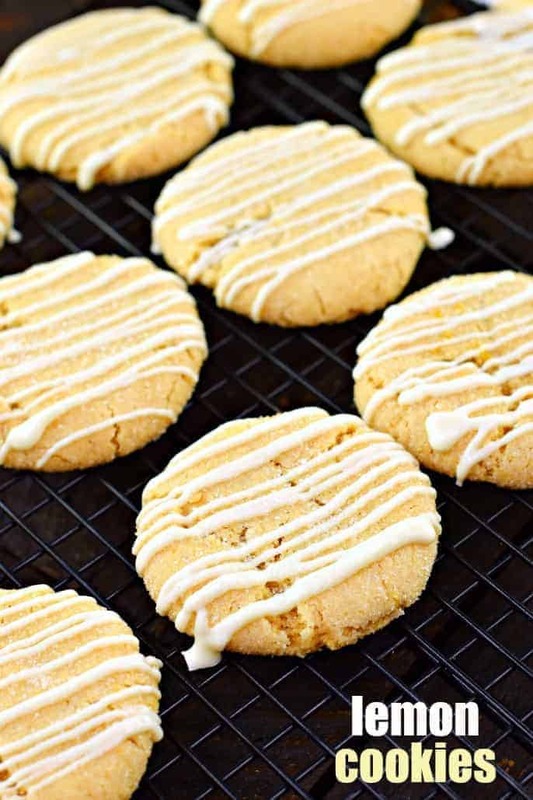 Drizzle the melted white chocolate over the cooled cookie and return to parchment paper. Allow to set. ENJOY. Cookies can be stored in an airtight container at room temperature for up to one week, or freeze until desired. Around this time of year I need all the food that tastes like sunshine that I can get! These are perfect. Just looking at these makes me happy. Thanks for linking to my Cookies! Yum! I am making these tomorrow. I love anything with lemon. These turned out awful. They flattened out and ran together. I am putting the second tray in the fridge to see if that helps. I followed the recipe and even double checked it before adding. So sad because they looked so good. My family loves lemon desserts, bet this will be a hit over here! I can feel them melting in my mouth already just from looking at the pictures. Yummmm!